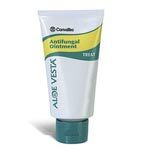 Convatec Aloe Vesta 2-in-1 Antifungal Ointment 2oz cures most superficial fungal infections with 2% miconazole nitrate in a petrolatum base. 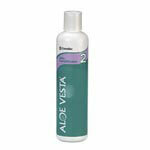 Aloe Vesta® Antifungal Ointment cures most superficial fungal infections with 2% miconazole Nitrate in a petrolatum base. 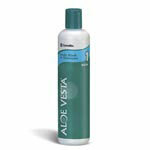 The petrolatum, which forms an occlusive barrier, repels moisture and softens affected skin while it relieves itching, scaling, cracking, and discomfort.